Plant a tree. It’s a simple but useful way to give back to the environment which we live in. Gardening. Create a sustainable gardening plan to keep your garden alive and attract more species. Walk, ride your bike, or carpool to work. You’ll save energy and protect atmosphere. Reduce, reuse, recycle — create a recycling plan. Using resuable bottles and cups instead of buying plastic bottles (saves money too). Wear green clothes, be environmentally friendly. “Green” clothes also called sustainable clothing, are made with eco-friendly resources, organic cotton or recycled materials, which play a very important role in sustainable living in many different ways. There is a world of difference between conventional and organic cotton. The benefits of organic cotton don’t just stop at the quality of products. Read the following infographic to find out the differences between conventional cotton and organic cotton. Looking for “green” clothing to add to your product line or to have for yourself? At NYFifth, we offer a variety of the best sustainable clothing brands: Alternative Apparel and econscious. 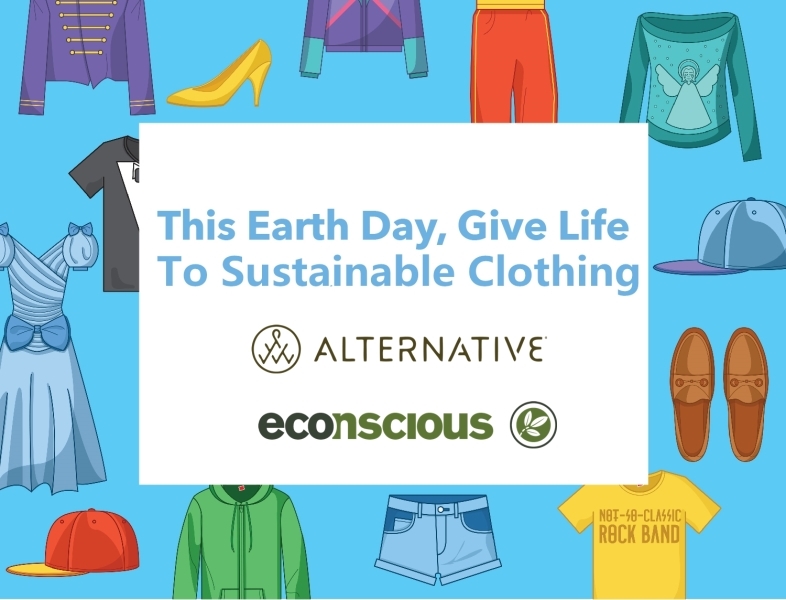 Whether you’re searching for loungewear, gift sets for friends and family or looking to expand your brand to include a eco-friendly tee for Earth Day, Alternative Apparel is your brand. It’s a sustainable clothing brand using recycled materials and processes whenever possible, along with ensuring workers receive fair pay and safe working conditions. 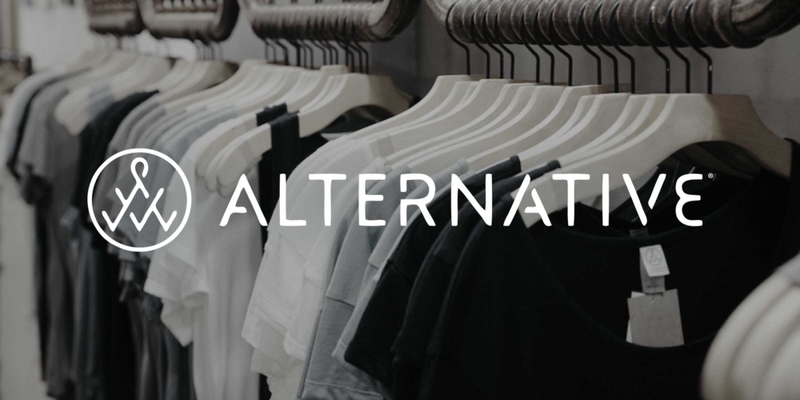 Since the company launched in 1995, the sustainable clothing brand Alternative Apparel has been creating vintage-style clothing. Over 80% of the garments produced are made with sustainable materials and processes! Alternative Apparel Eco-Jersey Crew Tee — It’s made with 50% polyester (6.25% recycled), 38% cotton (6.25% organic), and 12% rayon, putting the merits of the fabrics all in one, making this Alternative Apparel t-shirt a light, soft and durable one on the basis of high comfort. Available more than 15 colors, these eco-friendly blank t-shirts are perfect custom screen printed t-shirts. Alternative Apparel Ladies Maniac Eco-Fleece Sweatshirt — It’s made with 50% polyester(6.25% recycled), 46% cotton(6.25% organic), and 4% rayon. This eco-friendly sweatshirt with a raw-edge, off-the-shoulder neckline will keep you cozy and relaxed whether hanging out or just staying at home. Alternative Apparel Rocky Eco-Fleece Full Zip Hoodie — It’s made with 50% polyester(6.25% recycled), 46% cotton(6.25% organic), and 4% rayon. The rocky hoodie is a knockout when it comes to style and comfort. Available more than 10 colors, this Alternative Apparel hoodie is sure to be your favorite hoodie. Alternative Apparel Ladies Eco-Fleece Jogger — It’s made with 50% polyester(6.25% recycled), 46% cotton(6.25% organic), and 4% rayon. The Alternative Apparel jogger transforms casual comfort into street-style chic. Available in 7 colors, this slim-fitting eco-fleece jogger is perfect for your everyday wear. 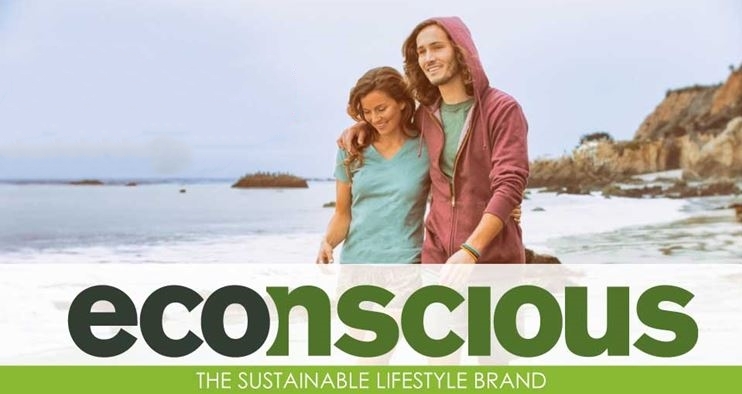 Another great sustainable clothing brand that’s available at NYFifth is econscious. econscious creates apparel and accessories that embodies the best in sustainable design. They begin the process by sourcing the finest organic and sustainable fibers for their products. All the workers producing econscious products are ensured safe working conditions that respect human rights. No child labor is used in any of their products and inhumane treatment is prohibited. econscious EC7070 Eco Trucker Organic/Recycled Cap — One of our most popular trucker caps, this eco-friendly hat is made with 70% certified organic cotton, 30% recycled polyester, meeting your needs of comfort and fashion. econscious Organic Cotton T-Shirt — Made with 100% certified organic ringspun cotton, this classic shirt is the perfect blend of softness, comfort, and environmental protection. These organic t-shirts for printing are available in 8 classic colors for you to choose from. econscious Organic/Recycled Pullover Hoodie — It’s made with 80% certified organic cotton, 20% recycled polyester. Ideal for year-round layering, this organic hoodie is perfect for everyday wear. econscious Organic Cotton Eco Promo Tote — Made with 100% certified organic cotton, this recycled tote is perfect for shopping, storing groceries, or holding your school essentials, and more. It’s perfect to add Earth Day messages on these custom organic totes. 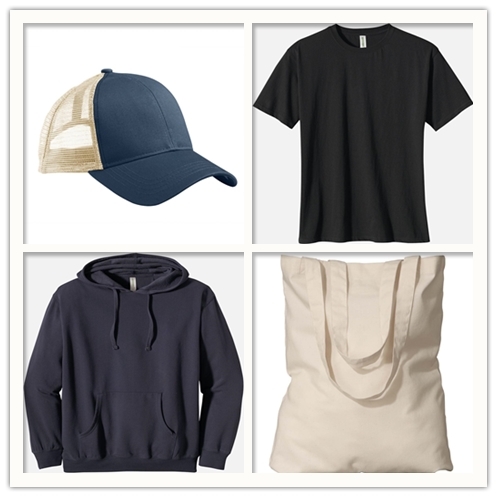 We offer a variety of Hanes sweatshirts and sweatpants contain the Hanes’ EcoSmart polyester fiber, which is made from recycled plastic bottles. 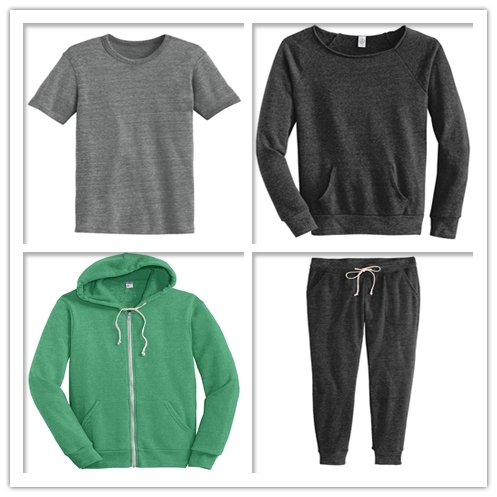 Champion eco sweatshirts and sweatpants are made with recycled polyester fiber, and up to 5% recycled polyester is made from plastic bottles that is environmentally friendly. Champion super-soft fleece is cotton-rich keeping you comfy all day long. Previous PostUnder Armour VS Nike – Which is Better?